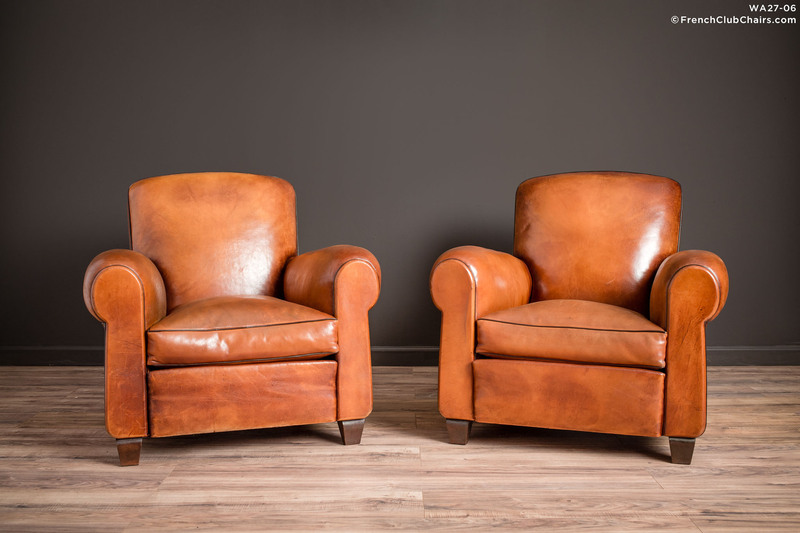 This pair of Library back French leatrher club chairs have a baseball glove feel and hue. The leather is supple, soft and inviting. This pair has all original leather and are in excellent overall condition. A nice midsize pair that fit all sizes. measurements: depth-36", width-34", height-33", seat depth-20", seat width-17", seat height-16"